Externally applied PATTM-release agents are available for the processing of thermosets for nearly all production processes, molding materials/resins and processing temperatures. In addition to water based or solvent-based formulas, we offer solvent-free systems, paste-like preparations and aerosol spray cans. Products, which allow multiple de-moldings with only one application, are available in many fields of application. In addition, it is frequently possible to achieve glossy surfaces during thermoset processing using external PATTM-releasing agents without polishing. Usually, the produced parts can be painted, laminated or glued without additional treatment, as the release agent is not transferred to the molded part itself. Due to the use of internal PATTM-release agents, the treatment of molds with external release agents becomes essentially unnecessary. There is no need to apply external release agents anymore and mold cleaning intervals are extended considerably. This helps to reduce production costs effectively while increasing production capacity. For many of the offered products, post-molding costs are reduced as the surface quality increases and painting and laminating capability are improved. Fiber-reinforced thermosets show additional positive effects in conjunction with PATTM-release agents. Due to an improved wetting of fibers, the mechanical properties of the produced parts are generally strengthened. In some cases, tensile strength and bending strength are increased by 20% and more! Due to the low addition level and almost complete cross-linkage with the resin-matrix, the remaining physical and chemical properties of the finished products are not affected. PATTM-internal release agents are available for the processing of thermosets for nearly all resin systems, molding compounds, production processes and mold materials/resins. They are free of waxes and silicone. When dispersing reinforcement and filler materials, PATTM-internal additives provide excellent results. By reducing the matrix surface tension, the polymers flow more easily, thus wetting the filler materials more effectively thus generating a better physical contact, overall. 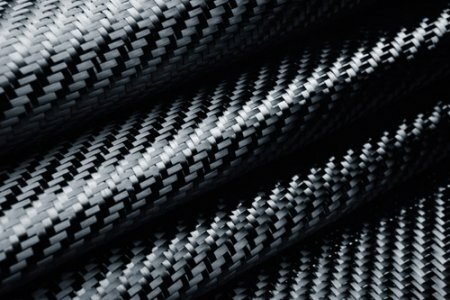 By using PATTM-additives, the physical properties of fiber-reinforced thermosets can be improved as desired. At the same time, the consistency of the production process is increased and the physical properties of the moldings are much more uniform. PATTM-reactive diluents for epoxy resins allow for the adjustment of the viscosity of a given resin system to a given production process. Thus, using PATTM-reactive diluents, considerably accelerates the impregnation of reinforcement materials, such as fiber glass reinforcement or rovings. Likewise, the incorporation of filler materials is facilitated by the decrease in viscosity. Especially when processing highly filled resins, PATTM-reactive diluents for epoxy resins shows advantages. Thus, highly filled floor sealing compounds become very easy to spread, even at room temperature. PATTM-reactive diluents react completely with the resin and generally do not affect the mechanical, physical and chemical properties. Because of their non-volatility, no VOCs are generated when processing PATTM-reactive diluents. PATTM-reactive diluents are non-hazardous preparations without labelling requirements. They are silicon and resin-free liquids.